Purchase your tickets in advance. With seven or more days’ advance purchase, you’ll save $10 per ticket. Purchase advance tickets online or by calling 800-411-3812. Tickets are required for admission to the estate; you will need to present them for admission to Biltmore House and to our Winery, so please keep your tickets with you at all times. If your tickets are at Will Call, please pick them up at the Reception & Ticketing Sales Center prior to approaching the Admissions Gate. If your tickets are Print at Home, please print your tickets before arriving. Reservations are required for your self-guided visit of Biltmore House on select days. Guests who arrive without a Biltmore House Reservation cannot be guaranteed Biltmore House entry on these days. If you plan to visit on one of these days and do not have a Biltmore House Reservation, we recommend you schedule one as some days sell out. View Reservation Days. Call to make additional reservations at one of our many estate restaurants and for tours and activities. Arrive at least 45 minutes prior to your Biltmore House entry to allow time to park and catch a shuttle to Biltmore House. This is especially important on Biltmore House Reservation Days. A car is required for travel between locations on the estate. Biltmore guests are often surprised by the size of the estate, so it is important to plan before your arrival. View Travel Distances. Park & Ride lots that provide free shuttle transportation to the front of Biltmore House. Park & Walk lots that require a 5- to 10-minute walk to Biltmore House. RV drivers and those with special needs should contact the first available parking host for assistance. View Estate Accessibility. During the busy holiday season, please allow extra travel time. For a more leisurely visit, consider joining us Sunday–Friday when you will typically encounter fewer guests. See Hours of Operation. For your safety and for the protection of this historic home, all guests must enter through a security scanner for each entry to the house. In some circumstances, bags, packages, and boxes will also be inspected by security personnel. We reserve the right to refuse admission for any bag, parcel, or other item. Weapons are prohibited. View Estate Policies. Dress comfortably. Wear walking shoes and layers for the changing mountain weather. Review our suggested itineraries and FAQs for additional information. Plan on spending at least one full day at Biltmore. Two days are recommended because there is so much to see and do on our 8,000-acre estate: the house, gardens, Winery, working farm, and a variety of outdoor activities, shops, and exceptional dining options. 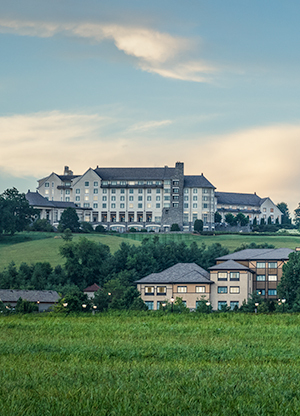 Spending the night on the estate at one of our three splendid properties allows you time to savor all that Biltmore has to offer: the grandeur of Biltmore House, its 8,000-acre backyard, and our time-honored tradition of gracious hospitality. Overnight stay packages include estate admission, breakfast, and estate shuttle service for the length of your stay.